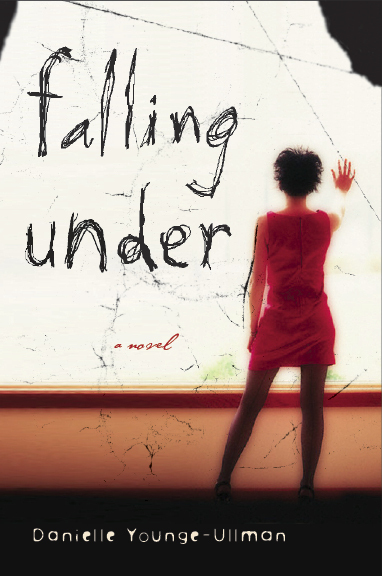 One of my biggest dreams came true this year with the publication of Falling Under. Of course, it didn’t all happen the way I imagined it, which means it was both more and less than I expected. I didn’t realize it would be so stressful. I didn’t realize how little control I would have over the process. But I also never dreamed of the friendship and generosity that could be found in the reading and writing community, starting right here at The Debutante Ball. It pains me to have it end, though of course it is time and I’m certain the community will continue and grow though us and the fabulous 2009 Debs, who you will meet next week. In this dream, the 2008 debs all move into houses on the same block, in the same city. All of you readers and friends, plus past and future debs would be there too (only if you wanted to), plus many of our guest authors and writer friends and whatever family members we deem desirable. Our neighborhood would have artists and musicians and writers, readers of all kinds, a B&N where we would go with our laptops, drink lattes and pretend to write, plus a funky independent bookstore, ideally run by Kathy Patrick (a deb guest author who runs the only bookstore/beauty salon in North America). She would run her wild, wonderful book clubs and we would all go there to get beautified, hang out in our tiaras and talk about books and writing and family and marriage and kids and pets and exercise and chocolate and politics and the state of the world. Eileen would see us from her window and make her way over. Even on the grimmest day, (not that we’d have many grim days) Eileen would give us a worldly-wise look and say something that makes us snort and possibly spit out our coffee. Only upon later reflection would we realize how her humor put the day in perspective and made us feel good and normal and human…in the moment we are too busy laughing. We’d mosey to the front yard just in time to see Lisa peel by in her awesome Mom vehicle on her way to drop her kids off, give 10 interviews, teleport to 14 different cities, write a couple of books, save some relationships and be back to join us for dinner, at which time she would kick back with a lovely glass of champagne and share some of her hysterical, no-nonsense wisdom and trade-secrets with us. If we were procrastinating (and we would be) we might hop the fence and find ourselves in Gail’s backyard, tiptoeing around her writer’s hut, giggling and peeping in the windows, trying to lure her out with promises of dark chocolate and hot gossip. About that time Jenny’s dogs would escape and she would arrive, post yoga and still retaining some Zen (though Jenny’s Zen might include some wry observations and smart-assed remarks as opposed to “one with the universe” stuff) despite the marauding dogs and crazy parrot, and wearing her signature hot pink. Jenny might have half the neighborhood with her, since she knows everyone, and she’d have told each and every person about all of our books, pushing as hard for us as she does for herself and whipping us into shape to do the same. We might fly to Florence to lunch, or join Lisa on television for a weekly deb segment, and then all retire to our homes for a late afternoon siesta, some family time, perhaps some self-googling, and finally a bit of writing, since we are all NYT Bestselling authors and our fans, not to mention Oprah, are clamoring for our next books. In my dream deb neighborhood, we would convene in one another’s kitchens and back yards and never stop talking—offering celebration, commiseration, inspiration and advice, egging each other on, and laughing until there were tears rolling down our faces. We would wear whatever we wanted to, (gloves, tiaras, tutus, sweatpants) speak the truth, dance on the coffee table (okay, that might just be me) and take the world by storm. Okay…finally and seriously…to Kristy and the founding debs, to our wonderful readers and friends, and to my fellow debs of 2008, I thank you from the bottom of my heart and depths of my soul for this wonderful, crazy, year-long dance. You were magnificent. I loved this post. I laughed out loud through the whole thing. Deb Utopia sounds like a magical place. Please count me in. And I sincerely thank you for not making me get up to go to yoga. Don’t tease me like this, Danielle. I’m in. I’m sooo in. (I can also lead group runs. )Thanks for yet another FABULOUS post!!!!!! Gail & Lisa, I’m relieved to hear you’ll be there! Lisa, I wanted to add that you’d hustle us all off to the spa and that we’d all come to your house to forage for the books you keep stashed everywhere. Gail, I’m not teasing! Only limited in my magical powers. I would be terrified to run with you, but I’m sure you’d manage to get me out there at least once. Now that’s my kind of neighborhood! whoops! I messed that up. It was the part about the sweet dessert Gail would make with a celery stick, full of antioxidants, just before you all run a marathon..
LOL, Kristina. I am always in search for an antioxidant-filled celery stick that tastes freshly baked–ideally like a chocolate chip cookie, or a piece of apple crisp. If anyone can make one, it’s Gail. Oh, and Jess might be able to grow one from a seed. Happy to make you laugh and looking forward to your posts here at The Ball! I could see every corner of your perfect deb world- although I’m pretty sure we would see Lisa with her feet up with a margarita. I have first hand knowledge that she actually OWNS a dedicated slushy margarita machine- which makes her my personal hero. Eileen, you’re right! I knew I had a few details wrong. Margarita’s for Lisa, then, machine included with every house. I’ll be there, if you’ll have me. I can offer traditional Jewish cooking (no diets allowed) and the handyman services of my husband. Eve, you absolutely have to come too–of course! I’m looking forward to getting to know you and reading your posts here this year. It’s worth every second. Wow! I soooo want to live there! Great post and it was fun reading you all, all year long and then getting to meet most of you in San Francisco. Next year’s Debs have some big, fashionable shoes to fill! Oh man, how am I going to follow this? 🙂 Danielle, I LOVED this post! I wish there was this neighborhood! PS: I don’t know if I could grow celery from seed…but I’d give it a shot if the fruits (or veggies) of my labor ended up in a Bloody Mary for all of us!! I actually recently read that fruits and veggies that marinate in alcohol release more anti-oxidants than those that don’t. Not making this up… also not sure a celery cake would be very tasty…. Malena, SF was fab and meeting you was a highlight! Jess, I know you can do it. Between you and Gail, we’ll be totally set up. I’m all over it the alcohol-marinated veggies, Gail. And why am I not surprised that you know this tidbit?! Great post, Danielle! Can I come visit? Visit, Maureen?! I expect you to live next door! Aww, I LOVED this! Can I have a big window seat in the front of my house so I can sit there, read your books, and watch for you all? I’ll rap on the window as you pass and make you come in for a chat in the window seat. Jenny,Kristy, I’ve always had a few good imaginary worlds floating around in my head and this one is quite vivid, so I will be seeing you there. Oh, and Kristy, of course you can have a window seat!